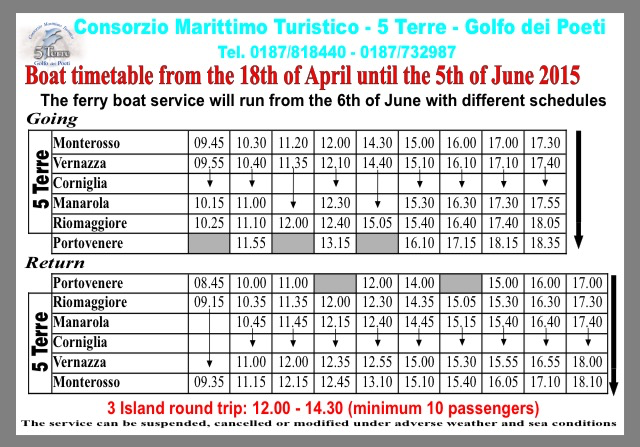 As promised, I’m here to post the latest schedule for the ferries between the Cinque Terre villages (minus Corniglia) and Portovenere. They change these schedules a gazillion times during peak-season so I’ll be sure to keep making updates. 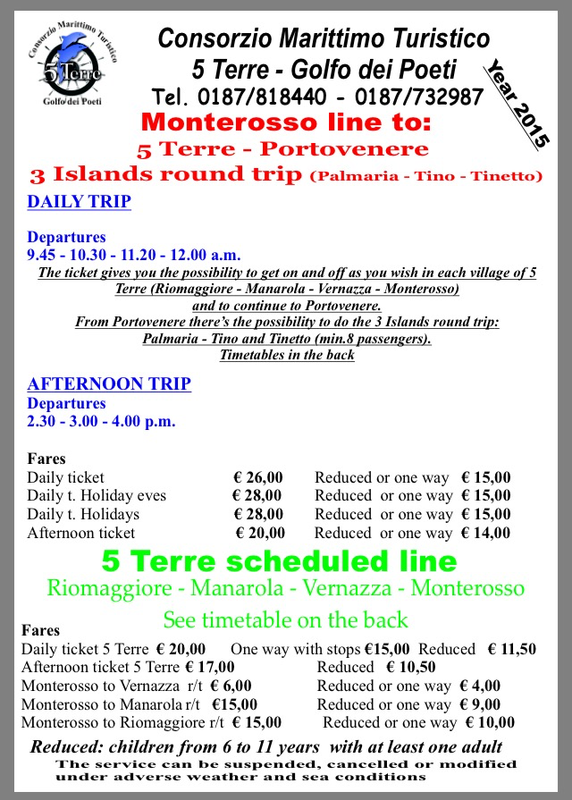 For help on deciphering the very interesting Italian –> English translations regarding the pricing, I recommend having a look at my previous post.